success. When Rachel's world is turned upside down by a family secret it takes their new found alliance to give each other the strength to overcome their demons. 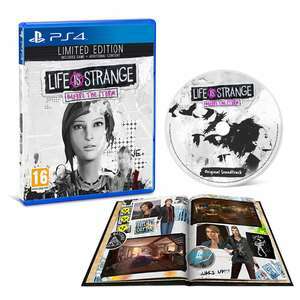 Life is Strange: Before the Storm Limited Edition includes The Complete Season (Episodes 1 to 3), the original soundtrack, a physical artbook & additional in-game content such as the Bonus Episode, Mixtape Mode & Outfit Pack. This links to before the storm edition? Op needs to state that it doesn’t come with the figures!